Why does the game of roulette seem to capture the imagination so much, even more than such other in-demand casino games as blackjack and slots? Is it that glamorous wheel that makes all of the difference, or is there something else that helps to make roulette so enduringly appealing? 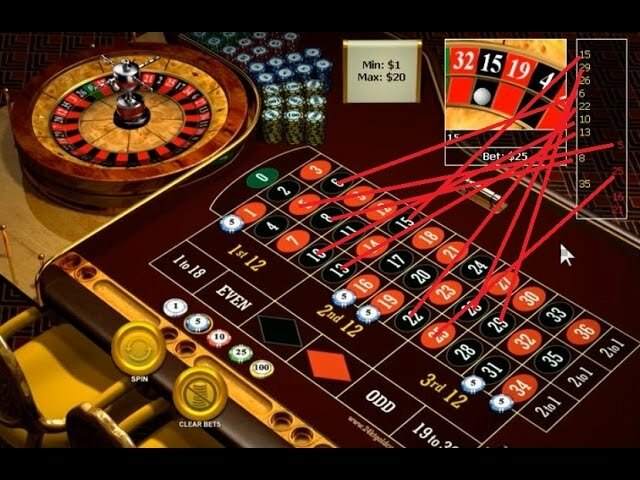 In truth, not only is roulette a big visual attraction, but it’s also astoundingly simple to play compared to many alternative casino games (though there are certainly some things to know before starting). You basically place your bets, watch the wheel spin and then claim your winnings if you are lucky enough for your bets to come in. There are certainly some things you need to know before starting, including which of the popular types of online roulette you'd like to play. 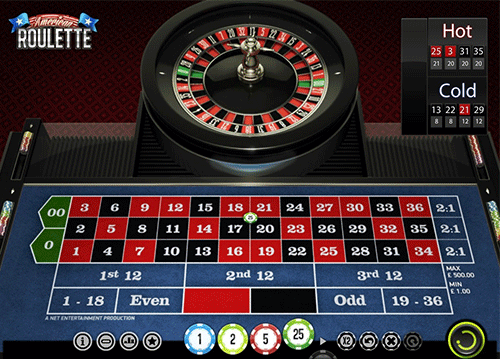 We’ve long enabled newcomer and experienced roulette enthusiasts alike to compare the leading online roulette sites. So in that spirit, we decided we’d take a closer look at some of the types of roulette bets that you might want to try to maximise your chances of success. Which Roulette Line Bet Options are Right for You? Despite its image, roulette isn’t a game of pure luck, and is more predictable than many imagine. There is a wealth of types of roulette bets that one can place, with differing likelihoods of winning – so we thought we’d outline how and when to use some of the best-known ones, which you can combine with roulette strategies. 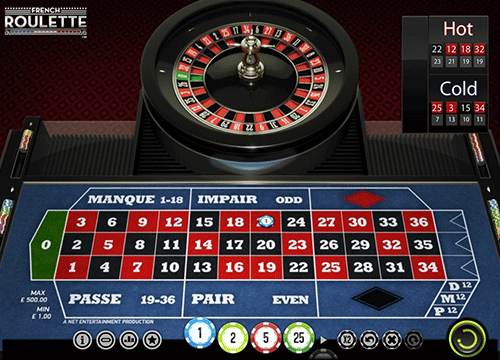 We have used the roulette games of Casumo to illustrate many of these roulette types of bets. But of course, these bets work much the same across the wealth of roulette tables that you can find online. Inside bets are a broad category of roulette betting types – indeed, they are so easy to understand that they are also the types of roulette bets that most people immediately think of when the subject of roulette is mentioned. Inside bets are all about covering picks made from inside the rectangle, where the actual numbers are. It equates to predicting which of the 38 possible numbers – including single 0 and double 0 – will come up when the spinning wheel comes to a halt. That means an inside roulette bet has a 37-1 chance of coming in, which puts you at greater risk of losing, but also ramps up the thrill compared to alternative types of roulette bets. Or at least, the 37-1 likelihood of winning applies if you place what is known as a straight-up bet. 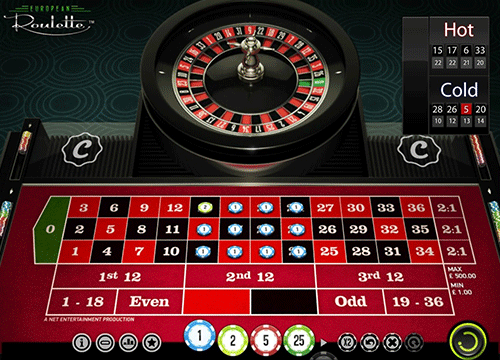 This roulette bet is as simple as you like – you just place a bet on any number, such as 1, 0, 7, 13... you name it. The ball landing on your number means you are victorious – otherwise, you lose. It really is that easy to understand. A straight-up roulette bet obviously doesn’t have a very high chance of coming in, but if the ball does land on your chosen number, you’ll get a higher payout than from any of the alternatives we’ve covered here. However, that’s not your only option for an inside bet. That’s because, if you’d still like to play on the inside but want to have a higher chance of winning, you could alternatively place a roulette split bet. This involves you splitting your bet between two numbers located close to each other, literally by placing your bet on the line separating those numbers. So if you place a chip between the numbers 7 and 8, for instance, both numbers will be in play on the next spin. This means that if either number comes up, you win. While it’s nice to be able to double your chances of winning your inside bet compared to a straight-up bet, you’ll have to accept half the payout if you do emerge victorious. There are many other inside bets that you can try besides the straight-up and split options, should you wish to further bump up your chances of winning. 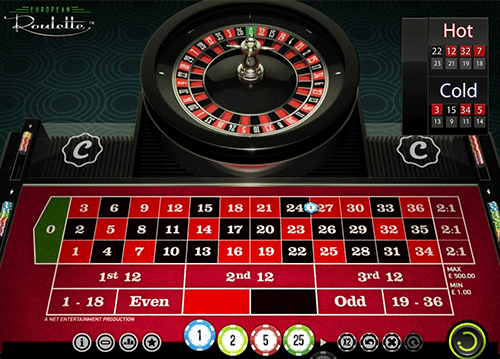 Presuming a 36-number roulette wheel, you might decide on a street bet – a bet on any number within a row of three numbers. So it could be 1, 2 and 3, or perhaps 4, 5 and 6, or maybe even 34, 35 and 36... you get the idea. A street roulette bet is also sometimes referred to as a steam or trio roulette bet, but whatever you call it, the principle is the same: if the ball lands on any of your three numbers, you get an 11-1 payout. Or what about further extending the principle of the split bet, but this time with four numbers? That’s what the corner bet is, enabling you to bet that one of four numbers comes up. These numbers will need to touch to form a square, which explains why you may have also seen the corner roulette bet referred to as a square bet. Anyway, it means an 8-1 likelihood of winning. Finally, for what is surely the zaniest of all inside bets, give the snake bet a go. This is a pretty unique bet, specifically covering the numbers 1, 5, 9, 12, 14, 16, 19, 23, 27, 30, 32 and 34. Highlighting all of these numbers creates a snake-like pattern – hence this betting type’s name – but much more excitingly for the player, it gives a 2-1 chance of being in the money after the ball has settled. OK, so if inside bets are where you might start when you are learning how to bet on roulette, what about outside bets? Well, these are a bit more complicated, given that they don’t involve betting on specific numbers. Instead, they are bets that you place on the perimeter of the roulette table, such on groups of numbers or colours. Contrary to what the expression ‘outside bet’ may conjure up in your head, an outside roulette bet is very much about ‘playing it safe’. These bets aren’t as thrilling as inside bets to place, because while your chances of winning are comparatively high – ranging from 2-1 to nearly even money – the cash rewards just aren’t as good. Still, if you’re happy with this, outside bets can be very interesting to place. So why not start with a few red/black bets, which really are as straightforward as their name suggests? A red/black roulette bet is an even-money proposition in the sense that you simply bet on whether a red or black number will win – except that your chances of winning, unfortunately, aren’t as good as 50/50, given that neither the 0 nor 00 on the wheel are either black or red. It’s a similar story when you place an odd/even bet. You can probably guess what this is about – it’s a bet on whether the ball will land on an even or odd number on the wheel. It’s an even-money, 1-1 bet, but again, thanks to the 0 and 00, you ultimately have a lower than 50/50 chance of winning. The high/low bet is the same, based on the idea that on a 36-number wheel, the numbers 1-18 are low and the numbers 19-36 are high. There are, though, two other types of outside bet that we simply must tell you about. They’re a little different from the above, as a column bet is placed on the very end of a vertical column, the idea being to bet on the column into which the winning number will fall. So if you place a bet on column two and the ball lands on the number 11, you’re a winner! But with each column paying a mere 2-1, you’ll only get double your money back even if you win your column roulette bet. Finally among the outside roulette bets we’re covering here, there’s the dozen, or dozens bet. Like the column bet, it involves you betting on a dozen numbers at once, except that here, the first 12 simply covers the numbers from 1-12. That means the second 12 is the numbers 13-24, while the third 12 is the numbers 25-36. Feel free to choose any of these sets of 12 numbers for your bet. Again, you’ll only double your money when you place a successful dozen roulette bet, but it’s another example of just how ‘safe’ outside bets can be. These online roulette betting types are a little controversial. Call bets are also known as called or announced bets, because they’re literally called out or ‘announced’, instead of being physically placed. Call bets are only available at European and French roulette tables, not being permitted in some parts of the world – largely because they could allow cheating players to place bets even when they don’t have any money. Still, it’s worth considering some call bets as an alternative to the obvious inside or outside bet options. 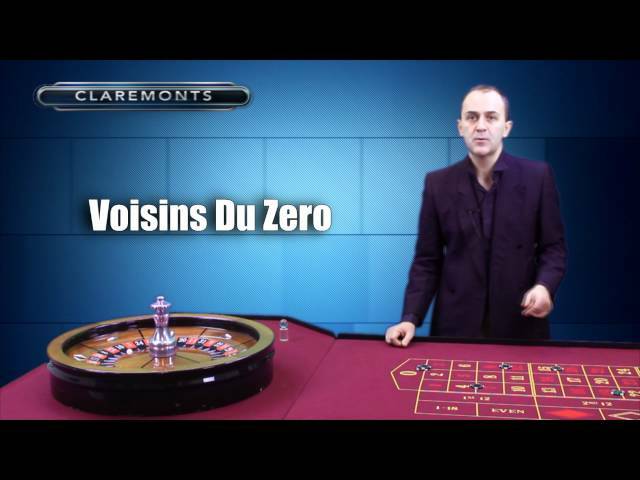 You might have heard of Voisins du Zero bets, for example. That term translates as “neighbours of zero”, and covers the numbers closest to the 0 on a single 0 roulette wheel. To be more specific, that’s the 17 numbers lying between and including 22 and 25, so the numbers 22, 18, 29, 7, 28, 12, 35, 3, 26, 0, 32, 15, 19, 4, 21, 2, 25. The Voisin du Zero bet requires a minimum of nine chips, with two of them being placed on the 0, 2, 3 trio. That leaves another one of them to be placed on the 4/7 split, another one on 12/15, one on 18/21, one on 19/22, two on the 25/26/28/29 corner, and finally one on 32/25. Another popular calling bet is Jeu Zero, or “zero game”. This one sees you playing for the numbers closest to zero, namely 12, 35, 3, 26, 0, 32 and 15. Four chips are needed for this bet, with three of them being placed on the splits of 0/3, 12/15 and 32/35. The remaining chip is bet straight up, on 26. The above is not an exhaustive list of the various online roulette types of bets, and we would urge you to continue researching and experimenting with the many ways to bet on this game. Remember that we can give you further guidance and tips on all things online roulette here at Top 10 Best Online Casinos, covering every subject from the best roulette systems to roulette strategies. Don’t look anywhere else when you wish to swot up on the many fascinating aspects of online roulette and find a great online casino offering roulette.